WHAT DO YOU DO in Paris on a rainy Saturday afternoon in early January? 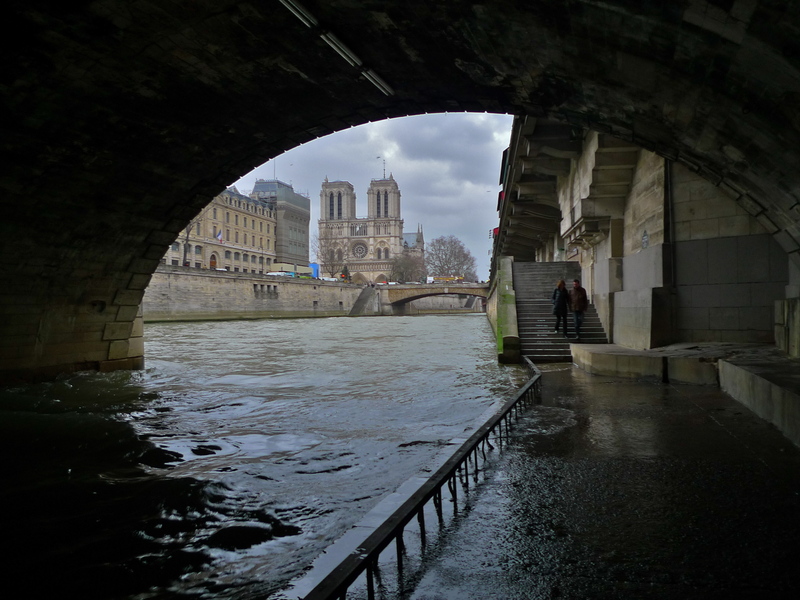 Well, while the post-Christmas tourists were busy doing their thing, and there seemed to be very many of them this year, I spent the afternoon standing under a Parisian bridge doing what I enjoy doing most – listening. And my bridge of choice for this particular Saturday afternoon was the Pont Saint Michel. The Pont Saint Michel is certainly not the most elegant of the many bridges that traverse la Seine, it took only seven months to build, but it does have a particularly rich sound environment which is why I’m attracted to it. The present day Pont Saint Michel was built in 1857. 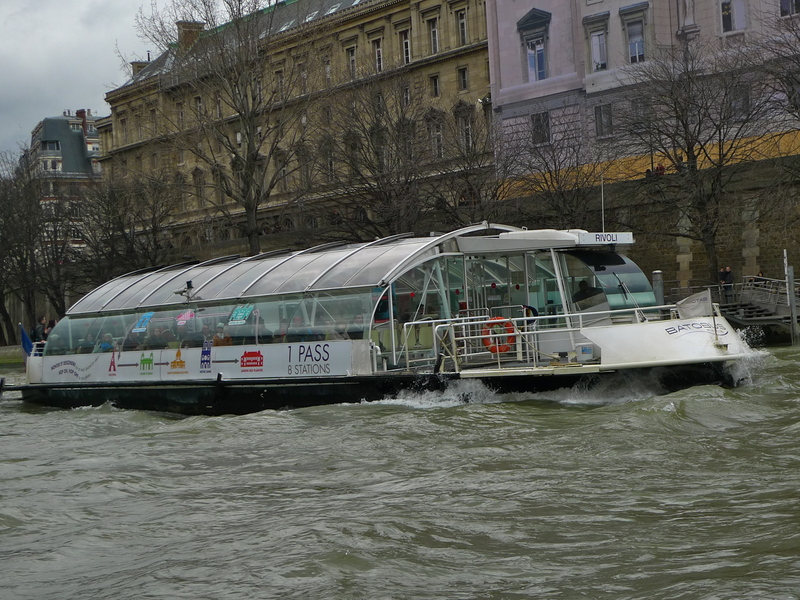 It’s 62 metres long, it has three arches each 17.2 metres wide and it links the Left Bank of the Seine to the oldest part of Paris, the Île de la Cité. 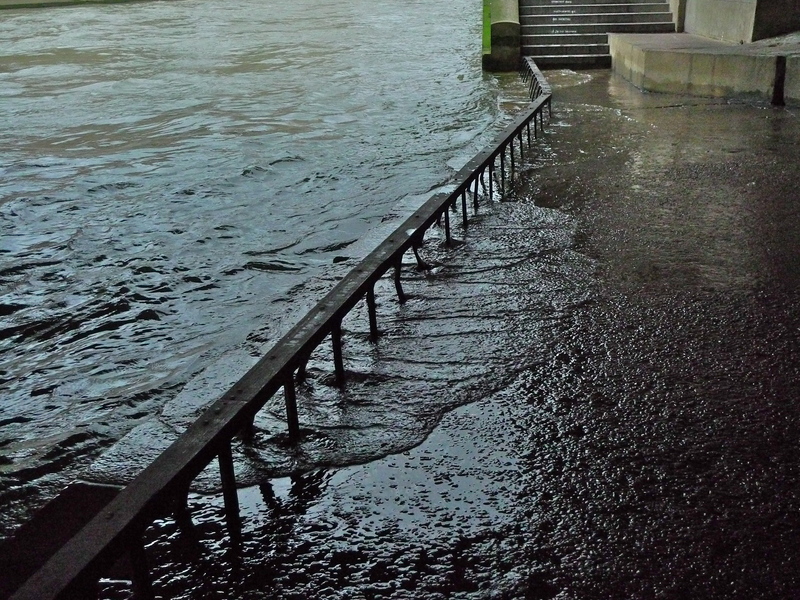 It’s not though the first bridge to cross la Seine at this point. The first bridge to do so was opened in 1387. The original bridge was built of stone and like all the medieval bridges in Paris it wasn’t long before houses appeared on it. 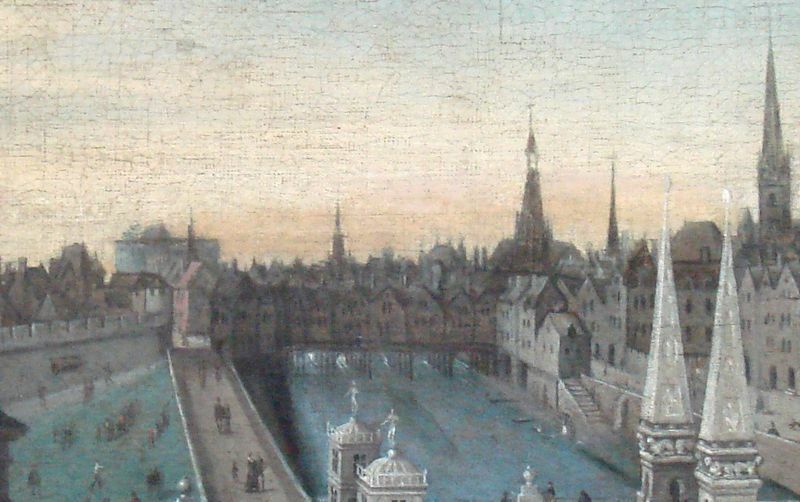 This proved to be catastrophic when in the terrible winter of 1407 – 1408, one of the longest and most severe recorded in medieval times, ice carried by the frozen river hit the bridge and caused it and all the houses on it to collapse. A wooden replacement bridge was built soon after again with houses on it. This wooden bridge was replaced in 1623 with a bridge comprising both wood and stone designed to hold two rows of houses. 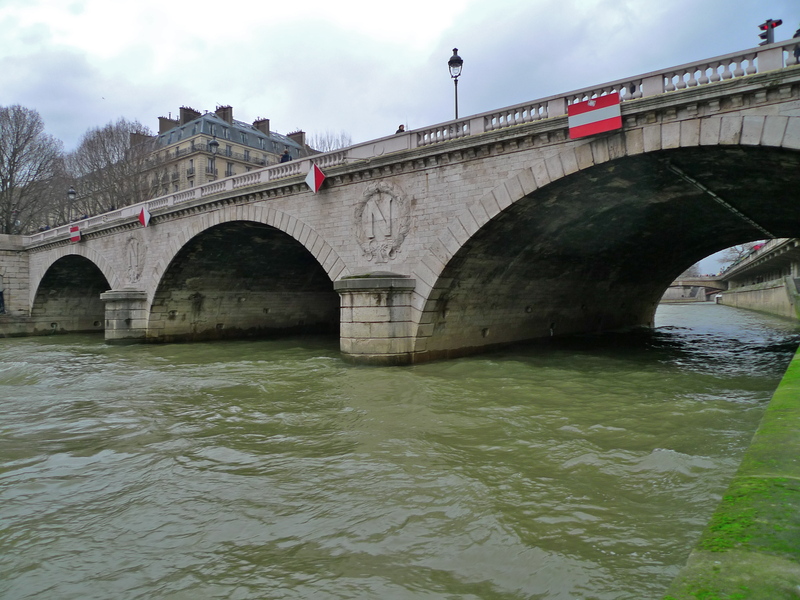 It wasn’t until 1786 that an order was issued to remove all the houses from Paris bridges but even so, the houses remained on the Pont Saint Michel until 1808. And then in 1857 the present day bridge, designed by the French engineer Paul-Martin Gallocher de Lagalisserie, was built. 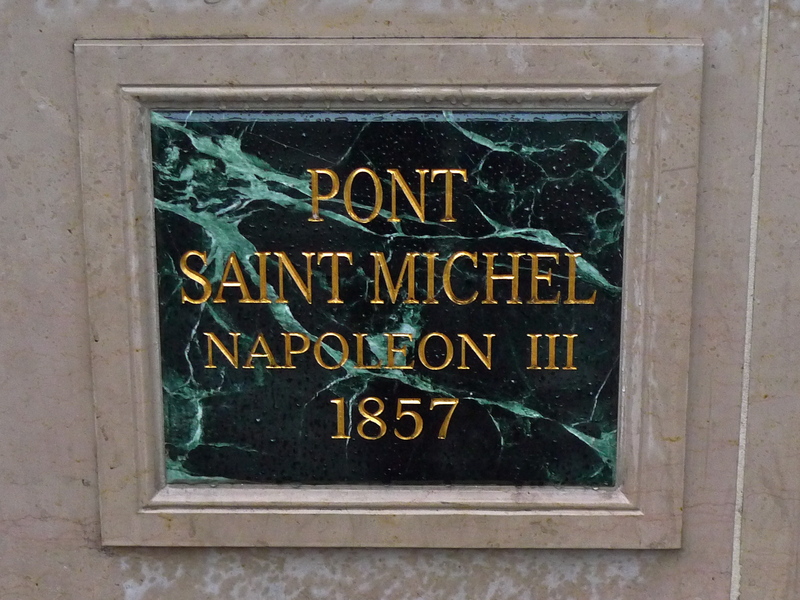 So much for the history – so what about to the sounds around the Pont Saint Michel? 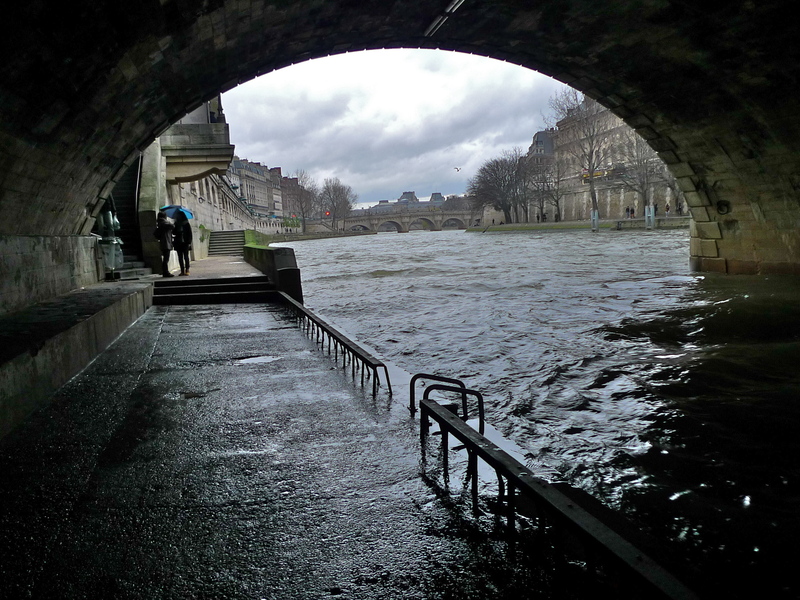 On this rainy, rather dreary, Saturday afternoon I approached Pont Saint Michel along the Quai de Conti from the Pont Neuf recording as I went but as the rain got worse I took shelter under the bridge. 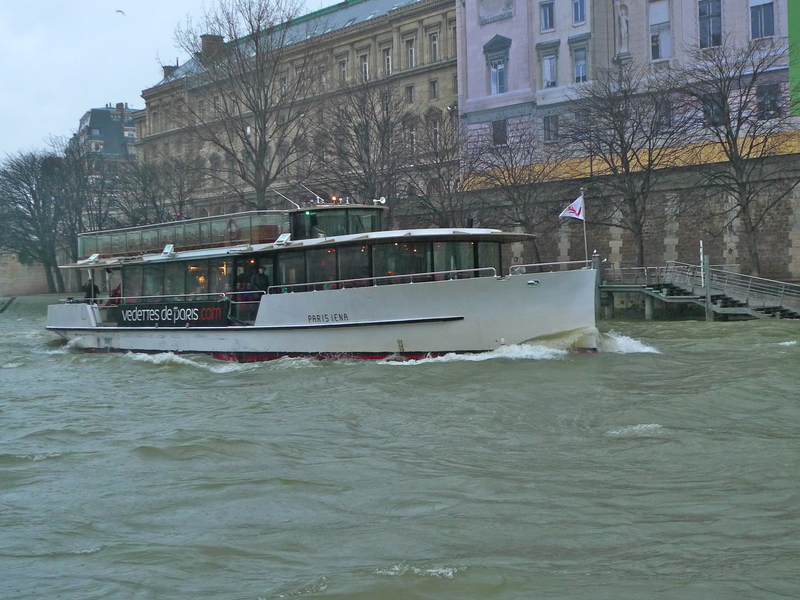 Because of the wind, la Seine was a little rougher than usual and as I walked along the Quai de Conti I was able to capture the delicious sound of a boat creaking at its mooring as it gently rode the waves. I also captured the sounds of a couple of fairly sparsely populated tourist boats as they passed by. Standing under the Pont Saint Michel I could see in one direction the Cathédrale Notre Dame de Paris and in the other direction part of the Pont Neuf, which when seen in all its glory is one of the most elegant bridges in Paris. Standing under the Pont Saint Michel I recorded the sounds of the river sloshing its way through the arch of the bridge in front of me. And then, as two more tourist boats approached, I decided to see what they sounded like from underneath the water as they passed. So engrossed was I with getting my microphone into the water in just the right place that I was completely unaware that the wash from the wake of a boat that had just passed was spilling over my vantage point and was about to engulf my feet. So captivated was I listening to the underwater sounds that it was only when I retrieved my microphone from under the water that I realised that my feet were equally as wet as the microphone. 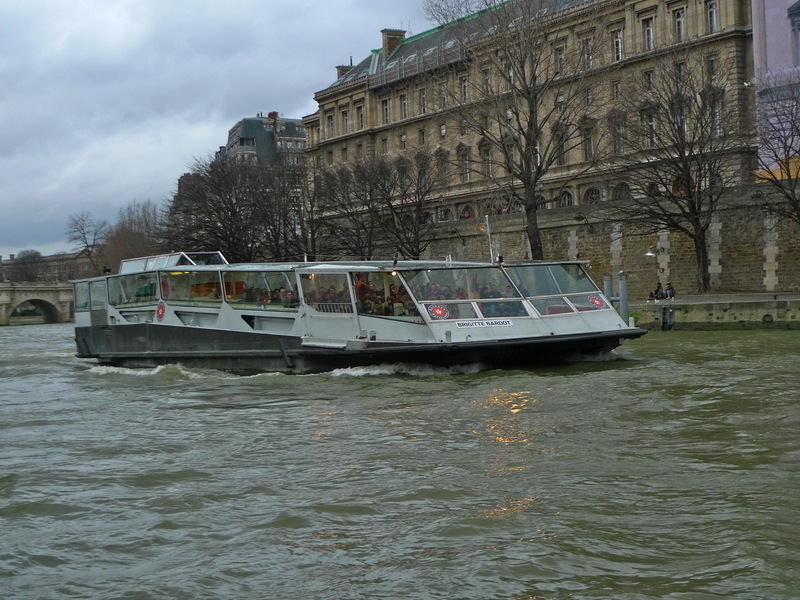 Undaunted, I continued to record as two more boats passed, a Bateaux Mouches, the largest of the tourist boats to ply la Seine and the one with the loudest commentary which sounds out in several languages. 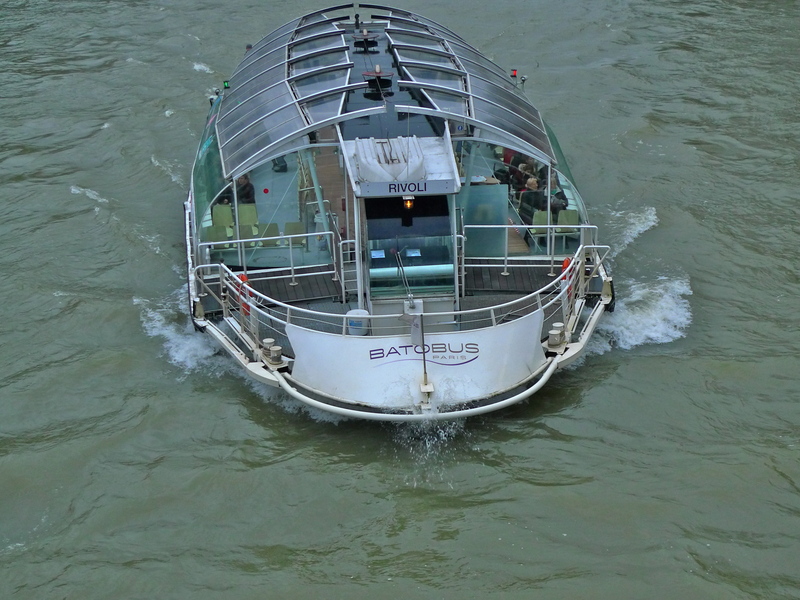 Following the Bateaux Mouches came one of the smaller boats, the Batobus, the hop-on hop-off water bus that stops at eight of the key tourist spots in the city. Listening to the sounds around Parisian bridges might not be everyone’s idea of an afternoon’s entertainment but for me it was very enjoyable and time well spent. And my Paris Soundscapes Archive is richer for it.